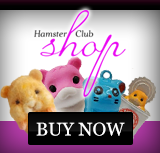 Hamster Club :: New HAMSTER CARTOON promo video! New HAMSTER CARTOON promo video! 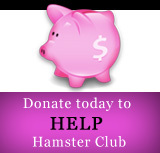 We are proud to launch our new Hamster Guide Book CARTOON promo for all hamster lovers to view! After the first promo which was a bit on the classical side, (click here to view it), we decided to launch a newer, cuter and more colourful CARTOON hamster promo which will definately be appreciated by lots of hamster lovers! The new hamster promo may be viewed from this link or below! You may purchase The Hamster Book from this link.